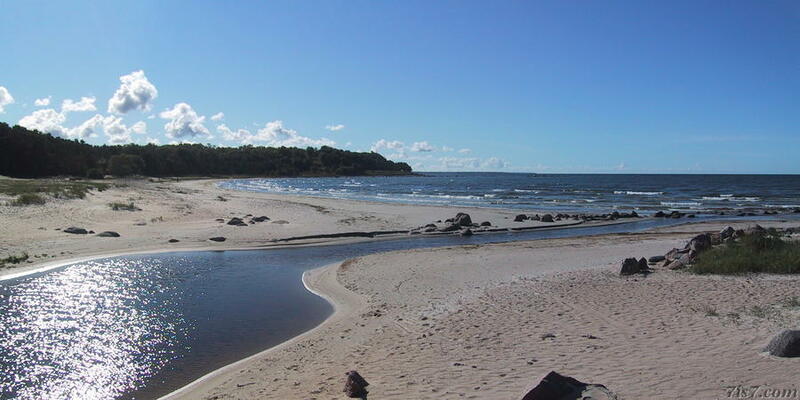 The Vääna river mouth streaming into the sea with Türisalu cliffs in the background south of Vääna-Jõesuu beach. Estonia. Location: 59°25'34"N 24°20'34"E on: Google Maps, OpenStreetMap, Maa Amet.